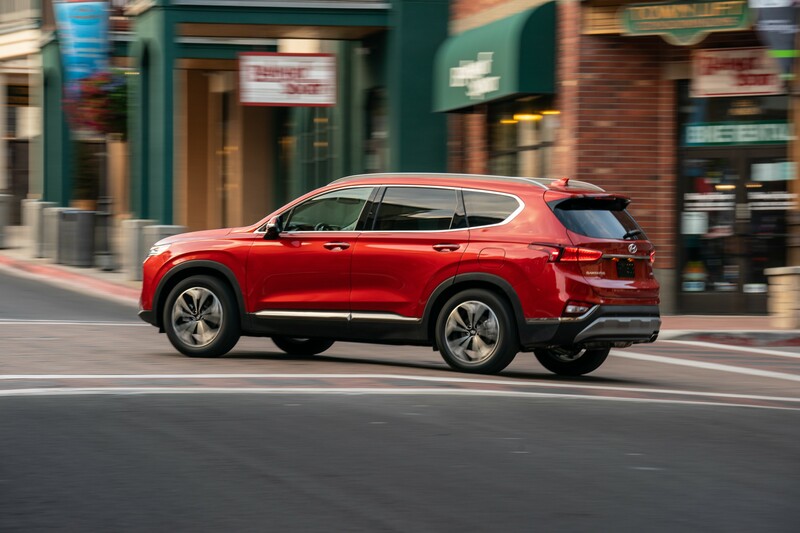 By Don Hammonds Hyundai, arguably one of the auto industry's most fiercely competitive companies, is hitting the road this year with a slew of new models that, like others in the brand's lineup, are likely to be among the top picks of each model segment. In fact, if there's a market segment in which Hyundai does not have a strong product to do battle with the competition, we can't think of one. Here's what you can look for in 2019: Santa Fe All-new for this year, Santa Fe, Hyundai's popular crossover looks like none of its predecessors, with a substantial, athletic look, new grille and rear end design, and tons of features that make it such an enticing value. The Santa Fe is larger, too, thus providing nearly two inches of length and lots more room for legs in the second row seat. The technology is pretty astonishing too. How about a feature that can alert drivers to a child or pet left in the back seat, and will also prevent the doors from opening in the path of an oncoming vehicle, bike or motorcycle? The car also has has standard emergency braking on the SE version of the Santa Fe, and all the other versions that rank above that model. Other standard features on the SE and higher level models include lane-keeping assist, rear cross-traffic warning with automatic emergency braking, forward collision warning system, and blind-spot monitoring. The base prices range from about $28,000 to $41,500 or so, and you can get your Santa Fe in all wheel or front wheel drive versions. The Santa Fe comes in 2.2 D, L:imited, SE, SEL, SEL Plus, and Ultimate versions. Power comes from a 2.0 liter turbocharged four cylinder engine producing 235 horsepower; a 2.2 liter turbodiesel four with 190 horsepower; and a 2.4 liter four cylinder engine that produces 185 horsepower. The transmission is an eight speed automatic. Another newcomer for Hyundai this year is the Kona, a sharp, athletic looking crossover that already has become a hit with buyers looking for a subcompact CUV. Standing still, the Kona looks like its ready to leap into action at the tap of an accelerator, and many car writers think that its among the best examples of crossovers now on the market. The Kona is powered by a 147 horsepower, 2.0 liter four cylinder engine that is teamed with a seven-speed dual clutch automatic transmission. Or you can choose the 175 horsepower 1.6 liter turbocharged four. But the Kona to really keep an eye on will be a soon-to-come electric version, which features a 64.0 kWh battery that allows the little street warrior to be able to claim a 250 mile driving range on electricity. However, all-wheel drive will not be available on the electric powered Kona, only front wheel drive. Standard equipment on the Kona includes automatic emergency gracing, adaptive cruise control and a forward collision system. With seats up, the maximum cargo capacity in the Kona is 19.2 cubic feet, or 45.8 cubic feet with the rear seat down. Fuel economy ratings range from 25-28 miles per gallon in the city and 29 to 33 miles per gallon on the highway, and it hits 60 in anywhere from 7.0 to 9.0 seconds. The basic warranty is 5 years/60,000 miles. If the heavily redone Santa Fe and the new Kona isn't enough to pique your curiosity, take a look at the Veloster, also heavily revised for this model year. The Veloster has always been a car that's gone its own way so to speak,. with its unique profile, steeply sloping roof and three door set up. It has always looked like it can tear the streets and highways up in tiny bits, and this year, it just might do that with a new Veloster N version powered by a turbocharged, 2.0 liter four that can produce 275 horsepower, and reach 60 in 6.3 seconds. It also gets wider performance tires, a host of handling and performance upgrades from lower line Velosters, 19 inch alloy wheels, and a mechanical limited slip differential. The price range for the Veloster is roughly $19,300 to about $30,000. The lineup enjoys a five year/60,000 mile basic warranty. 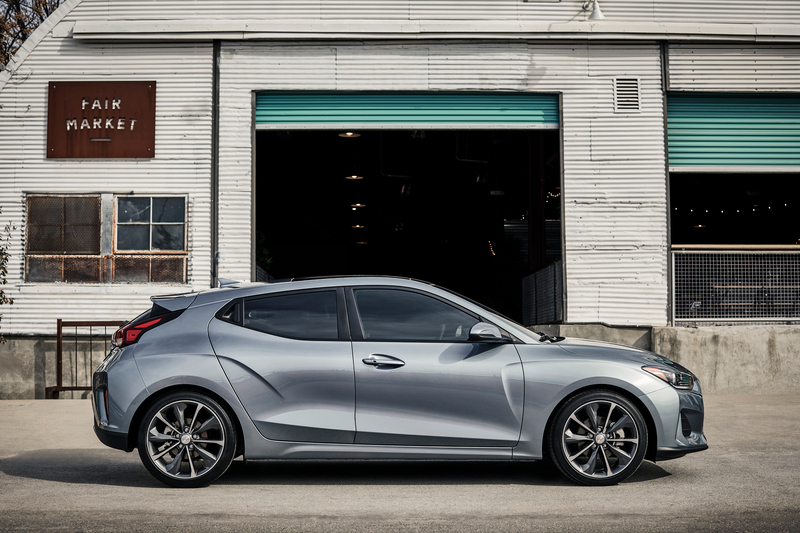 Another version, the Veloster Turbo, is powered by a 1.6-liter, 201 horsepower, turbocharged four cylinder engine thqt has an overboost function. It also has Michelin Pilot Sport 4 tires. The Veloster Turbo R-Spec, which only comes with a six speed manual transmission, has q base price of $23,785. Fuel economy for the Turbo R-Spec is 26 in the city and 33 on the highway. 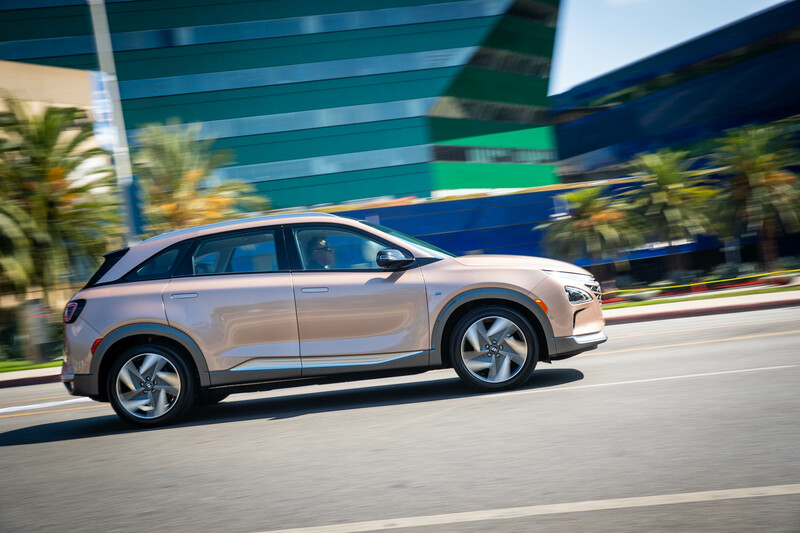 A big surprise for some people will be the Hyundai Nexo, a really sharp hydrogen fuel cell-powered hatchback that takes the place of the Hyundai Tucson FCV. It can travel about 370 miles on a full tank, and it includes new driver assistance features like blind-spot view monitor and remote smart parking assist. It's powered by a 161 horsepower electric engine, an is all wheel drive. It will hit 60 in 9.0 seconds. Alas, you can't buy the Nexo, but you can lease it for around $500 a month. 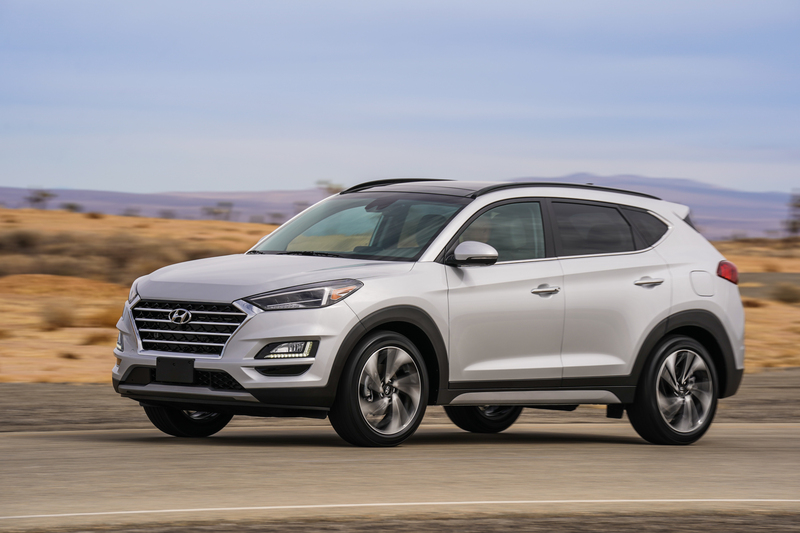 Also new for this model year is the Hyundai Tucson, the company's compact crossover, which gets a really sharp, athletic looking appearance that also makes it look more substantial and rugged. Prince range is around $24,000 to about $32,000. It has new features like a 2.4 liter four cylinder engine that produces 181 horsepower, and things like adaptive cruise control, pedestrian detection and a new six speed automatic transmission. The base engine is a 2.0 liter, 164 horsepower, four cylinder engine. The Tucson comes in front wheel drive and all-wheel drive configurations, and carries a basic warranty of five years/60,000 miles. Its towing capacity is 1500 pounds, and it has 31.0 cubic feet of cargo space with the seat up and about 70 cubic feet with the rear seat down. Fuel economy rating is 21 to 23 miles per gallon in the city and 25 to 30 miles per gallon on the highway. It can reach 60 in 8.0 to 9.7 seconds. As for the rest of the Hyundai line, the Sonata gets small trim changes and some new features, and the Accent, Ioniq and Elantra GT, along with the outgoing and soon to be replaced Santa Fe XL, are largely unchanged for 2019.